Clashes between these two fierce Sydney rivals are always special but there promises to be even more spice in this one with a spot in the Final up for grabs. Grab your tickets to the match here. The Sky Blues have dominated this fixture in recent years, losing just one of the last 13 meetings between the two sides and winning eight. 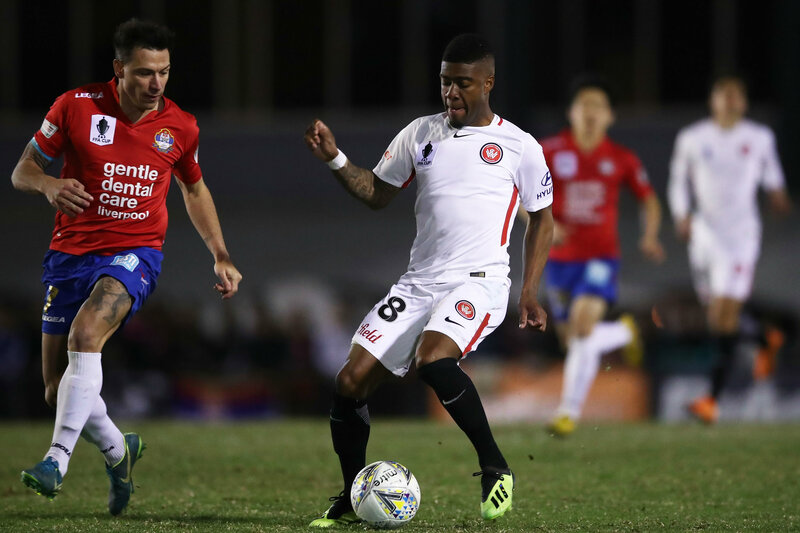 But the Wanderers have a clean slate under German maestro Markus Babbel and enter the clash after a strong showing against Melbourne City in the Quarter-Finals. The Red and Black showed class and resilience in dispatching City and with the likes of Oriol Riera, Alex Baumjohann and Roly Bonevacia in good form, they could cause Sydney FC plenty of problems. They also have the home ground advantage, with a big crowd expected in Penrith to get behind the Wanderers as they look to make their first ever FFA Cup decider. “It's a great place for football. Having this full on the weekend is going to be loud, it's going to be full of red and black, it's going to be amazing,” long-serving attacker Mark Bridge said. "It's big for our club, getting to the Semi-Final two years in a row. To play Sydney FC makes it even bigger and we're looking to play here on Saturday in front of a full house. "The people out here deserve it, we've got a lot of fans out here, so hopefully we can give them a good result and get through to the Final." But the Wanderers know they’ll have to be at their best to get past Steve Corica’s Sky Blues. The defending champions have done just enough to get past Rockdale City Suns, Cairns FC and Avondale FC on the road to the semi’s but will have to improve to beat the Wanderers. The good news is the likes of Adam Le Fondre and Milos Ninkovic – who both scored in the win over Avondale – appear to be hitting their stride, while speedster Trent Buhagiar is in a rich vein of scoring form. Whatever you’re doing on Saturday night, make sure you make time to watch this one as there could be an FFA Cup classic on the cards!